Thanks, but I take absolutely no credit for this. It's all Ed's, I just reposted it. I've got a VZ-23, but have not been able to find out much about it. Stupid question, How can you tell its a vz-23 vs 24???. Is it just by the date on the side?? Well short answer is no but that is a good clue. So remember that the VZ 23 Short Rifle was a "first attempt" at a short rifle and things changed on the way to the VZ 24. Next remember that the Czechs had some unwanted guests a few years later in the Germans who like to barrow guns and sometimes mess with them. 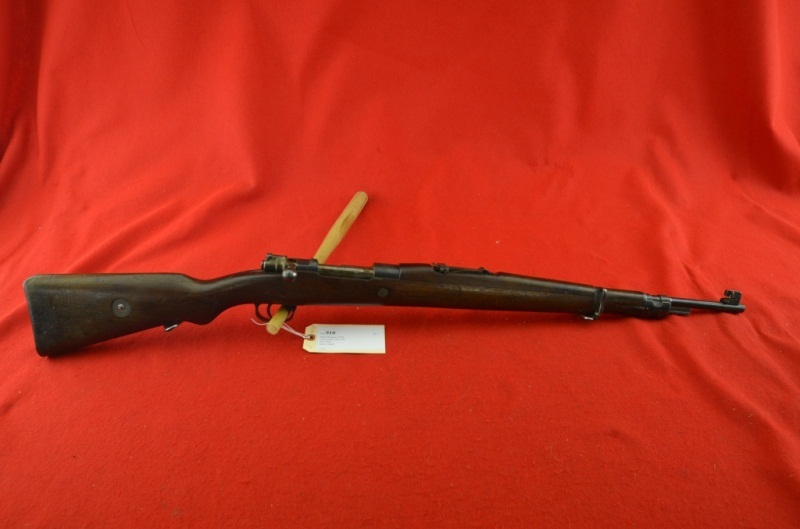 So what I can see from your photos that put this in the VZ 23 camp are the Czech 23 acceptance mark and the crest markings but some rifles accepted in 1923 have the shorter CS.ST. ZBROJOVKA BRNO crest. The front sight protector is from a VZ24. 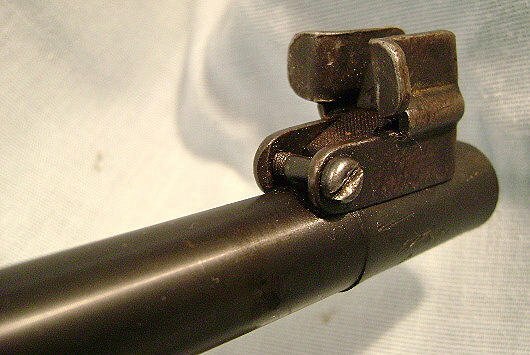 VZ23s have a slot for a sight hood "like" a German one BUT the REAR of the slot is deeper than the FRONT. Some early VZ24s may have had that but that got phased out early. Your stock looks to have a stock disk and not a washer so that looks good. 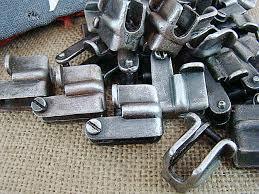 Your rear sling ring should swivel. Your stock may have is serial number on the right side of the stock with or with out the letter. 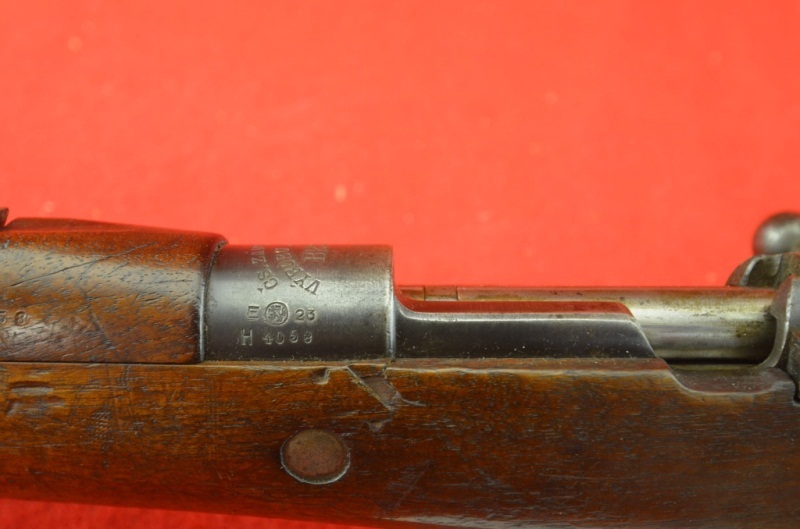 The rear sight numbers have more "curled serifs" not sure I said that right and I cannot tell for sure on your rifle. Your H block serial number is well with in the A through M blocks but that may have gone to the O block which has some 1924 dated VZ23s. KevinofBorg gave some good insights, but here are some more. Trivia: A "true" VZ23 is a rare rare bird. 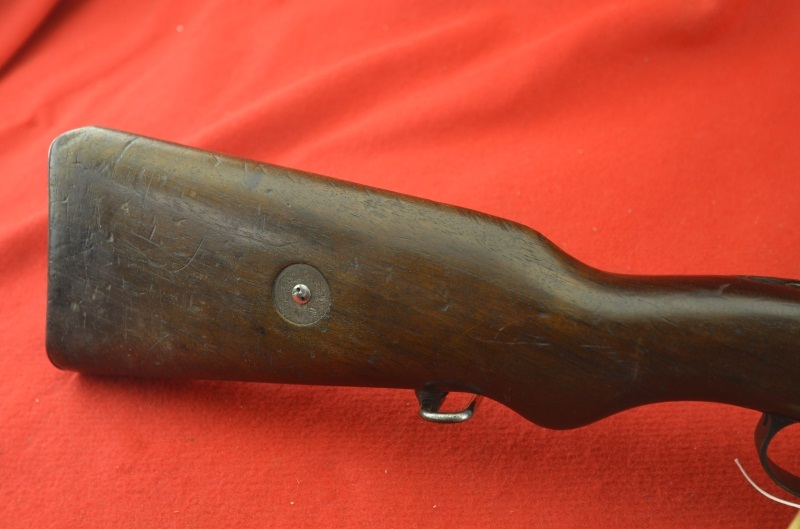 Many were modified into the first VZ 24's. Others fixed up to be compatible with 24's (e.g. Barrel length and stock config). I have an "almost" true, but the barrel is a VZ24. Other than the acceptance stamp (year) the other dead giveaway is the Arch Script on the receiver. When the VZ 24 was issued (other than converted 23's) they used the Rampart Lion. Years on the top of the receiver were primarily used for contract sales I believe. The date is one thing, as is the serial number block. An immediate clue is that the VZ 23 barrel is about 1.75" shorter than the Z24. My rifle is partial matching....the upper band, handguard, stock, trigger guard, and rear sight all match. The floor plate and bolt do not. The bolt is a a "G" series bolt. Mine has "cut outs" for the same purpose. People whom I consider knowledgeable have suggested that my style of sight protector is a late VZ23 protector. The unit disc has 32P and 2939 on it. 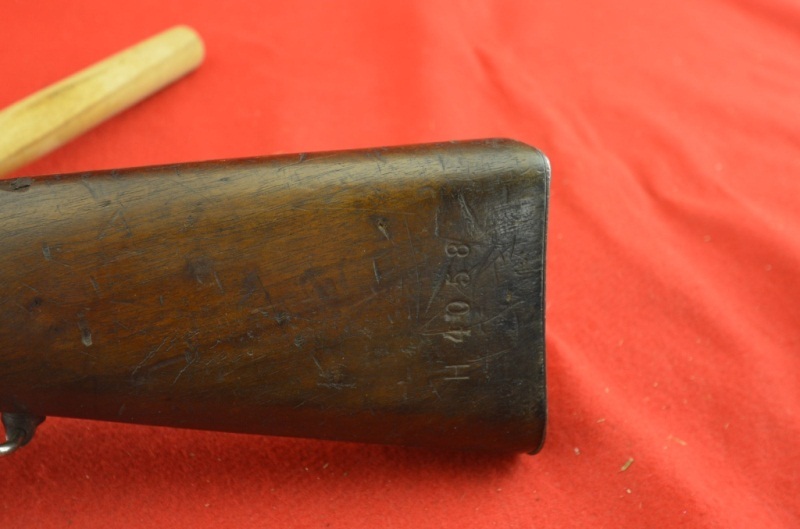 The serial number is on the buttstock. Ed, any opinion on what a true VZ23 is worth? Hey all moocho thanks for the real time and effort taken here to show and explain the differences.. I really thank you all I will now be a little smarter while looking for one.. True VZ 23? I've never seen one to be honest, and most of the ones I've seen offered as such were not (hence my almost pure VZ 23). I'd bet though, that a complete non fudged example in VG would go for 800 plus or even higher. To an honest collector probably 1K. But I have nothing to base this on. As far as I can tell, mine is an honest-to-goodness VZ-23. It has the shorter VZ-23 barrel, a non-matching, but authentic VZ-23 bolt, VZ-23 stock and handguard, etc. Is there anything you see in my pics that leads you to doubt its authenticity? At face value Steve I can't see anything, but I don't know if anything had been replaced/altered here or abroad. My 23 is serial number 833. I'm not an an authoritarian, but if meets all spec's of a 23 and other than the "perhaps" doubtful front sight (not totally sure), with what you said about the non matching portions, I'd feel comfortable in a valuation 300 more that 24's bring now a days. Thanks for your honest evaluation.